I was introduced to London Times a few months ago for this post, and have really enjoyed wearing their dresses over the past few weeks. The fit is perfect, the quality is great and they are modern without being overly trendy. I wore this silver knit dress for Thanksgiving and then the look featured for a dinner out with friends. If you are digging the dress below…don’t purchase yet….I am partnering up with London Times for a fun collaboration called SIX FOR SIXTY! I will be styling up six dresses that could easily take you to any holiday soiree, and will be giving you a discount code to purchase any of the six for sixty dollars! Stay tuned for the post coming at you Thursday 12/6/12….I hope you love the looks as much as I do and Happy Shopping! Linking up as I usually do with lots of lovely fashionable ladies for Monday Mingle! So exciting…..my Jeffrey Campbell boots were waiting on my front porch when I got home yesterday 🙂 Slipped those suckers right on, fit like a glove! Perfection! As promised, I took some shots of a pre fall look and a way to wear the boots NOW. I really enjoyed diving into my closet to find this look- I felt very victorian badass in those boots and if I dare say, I think I have gotten some pre pregnancy mojo back! Shirt Twelfth Street by Cynthia Vincent from Third Street Habit, Skirt Old Navy, Necklace Vintage, Earrings Sunshine Daydreams, Bag Lust 4 Luxe, Shoes Jeffrey Campbell. 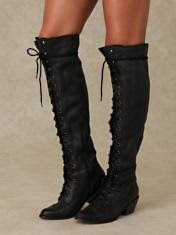 Author Andrea BrusuelasPosted on August 10, 2010 November 17, 2013 Categories Summer StyleTags Jeffrey Campbell, Mommy Style, Old Navy, Over the knee boots1 Comment on They have arrived! Love my new Jeffrey Campbell "JOE"! So I know you think I am crazy and it is kind of early to be thinking FALL- but I was on one of my favorite websites (for shoes) www.JeffreyCampbell.com and reading their blog…..Saw a feature on the pre fall boot “Joe” (pictured above) and fell in love. The blog mentioned it was available on www.solestruck.com so I immediately went to the site to find the shoe SOLD OUT in all sizes but 9 and 10. Always a good sign when something is sold out (means you are RIGHT on trend) but equally annoying that it can’t be yours. After a lot of commitment and online searching, I found the Joe at www.freepeople.com (which is an amazing bohemian chic website to check out as well) I pressed “order” and the boots are on their way to me…I CANNOT WAIT to get them. I will be sure to post a fab pre fall outfit idea once they arrive. Author Andrea BrusuelasPosted on August 3, 2010 November 17, 2013 Categories Blog, Brand HighlightsTags Jeffrey Campbell, Over the knee boots1 Comment on Love my new Jeffrey Campbell "JOE"!